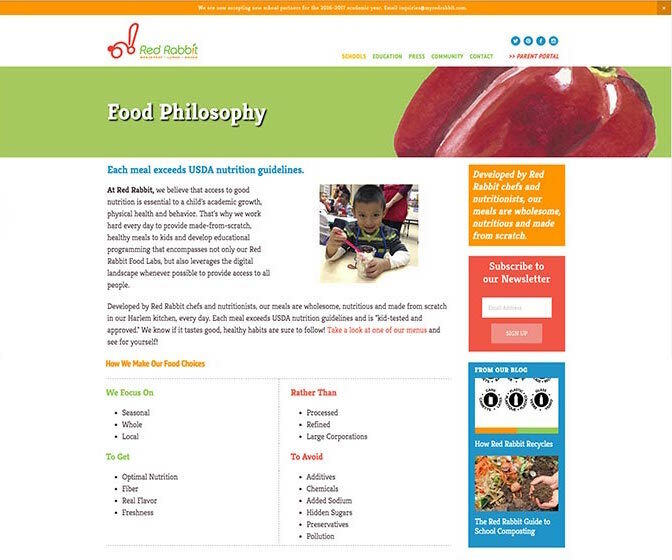 Red Rabbit makes healthy food fun for kids. 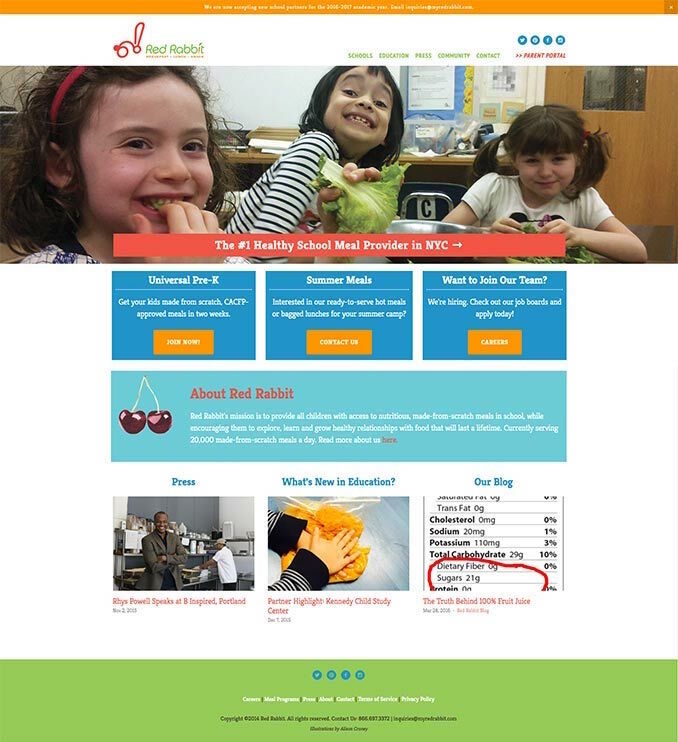 It serves tasty, organic foods to schools throughout New York, and helps educated kids about food and nutrition. We created a fun, colorful, easy to use (and easy to administrate) website for the organization that uses playful schoolyard colors to make sure even the educational content looks engaging. Top to bottom, left to right: Animated tour of the website, Red Rabbit Homepage, Red Rabbit Sample Page.